So I self-published a collection of mandalas from this site. These are all mandalas that are available for free here, but in a nice bound format. 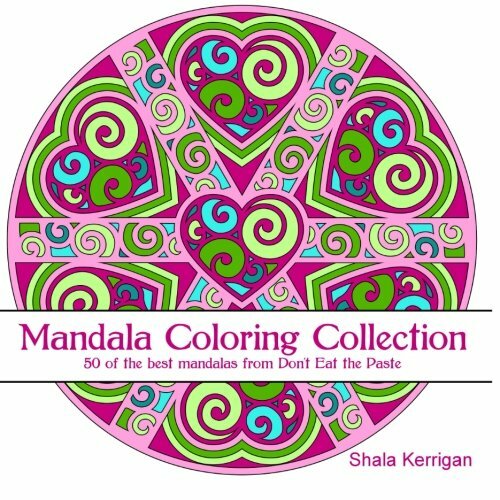 50 mandalas to color in an 8.5x8.5 book. The paper is a little on the thin side, but will work great with pencils. 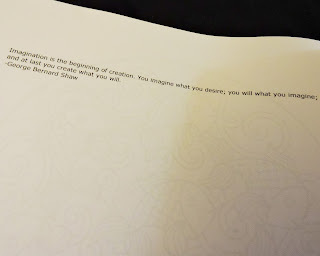 Because of blank page issue- instead of having the backs of the pages blank, I put a quote or a bit of information about the mandala on the facing pages. So why am I selling mandalas that I have posted for free? Well, a few people have told me they would like to color them, but don't have a printer. The other part is obviously hoping that with the craze for adult coloring books, more people will discover my site and work- but also that I'd really like to make a little extra money. Because my husband and I plan to buy a cabin, and a bit more money means being able to buy a slightly bigger cabin with a bit more land. One way or the other, we do plan to have a cabin by 2018, but if enough people buy this book, and if it's popular enough, other collections from the site- we can get a much nicer parcel of land. It's been a dream of mine for years, to have a quiet retreat in this state I love. I promise many pictures and projects involved in fixing it up- because we aren't rich, and it's going to need fixing. Hey Shala, I just purchased your manadala book. :-) I hope you get the cabin of your dreams! I dream of a cabin on the beach. Thank you so much! I hope you get the cabin of your dreams too!